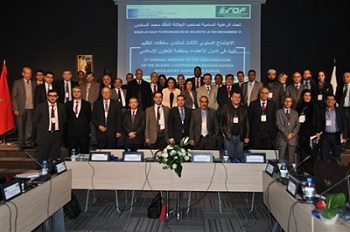 The workshop enabled participants to share information and experience in order to enhance the cooperation in the field of broadcasting regulation and principles among broadcasting regulatory authorities and/or institutions with similar functions and responsibilities in OIC Member States. The workshop attended by participants from national broadcasting regulatory authorities and governmental bodies. Organisation of Islamic Cooperation Broadcasting Regulatory Authorities Forum (IBRAF) is a Forum which endeavors to meet the need for increasing cooperation among Islamic Countries Broadcasting Regulatory Authorities against the backdrop of digitalization and convergence. The Forum aims to provide a forum for exchange of information, views and experiences about common topics of broadcasting, including a wide variety of audiovisual matters, such as cultural affairs, protection of children and youngsters, rising Islamophobia.